The color was so lush, BW changed the comp completely. Stunning shot! I do love the color, but this is awesome! 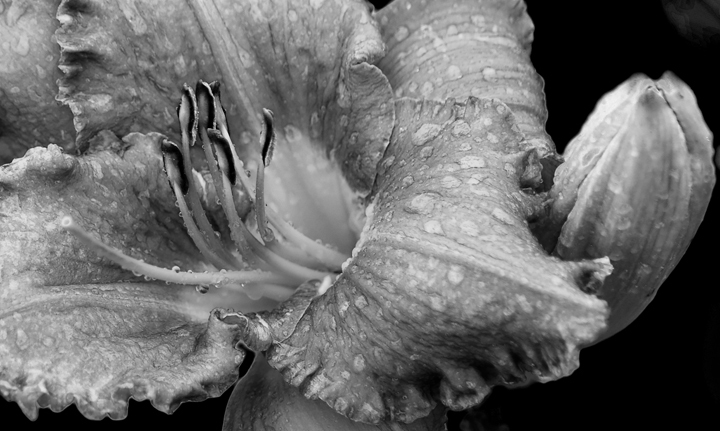 I like the stamen on this shot..
lovely, amazingly sharp the contrast gives this bloom a very strong effect! ps...WOW! the color version SINGS! Very nice. Looks almost 3D. Love the b&w conversion. Message edited by author 2009-07-07 10:09:29. Proudly hosted by Sargasso Networks. Current Server Time: 04/22/2019 04:59:30 PM EDT.